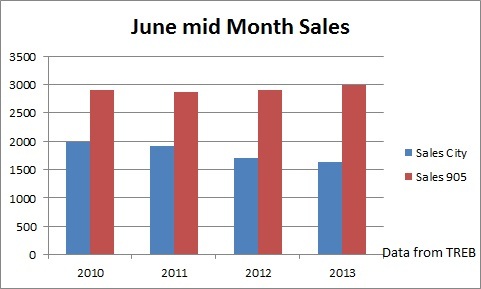 Sales in the 905 went up by 2.9% during the first two weeks of June while sales in the City of Toronto declined by 3.6%. 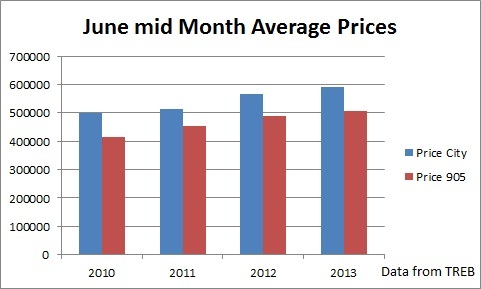 At the same time the average price kept rising in both the 905 and Toronto by 3.8% and 4.2% respectively. 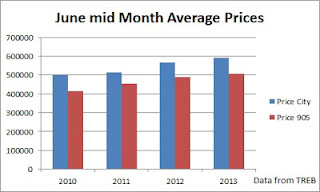 The increasing prices are good news for the speculators and bad news for the first time home buyers. 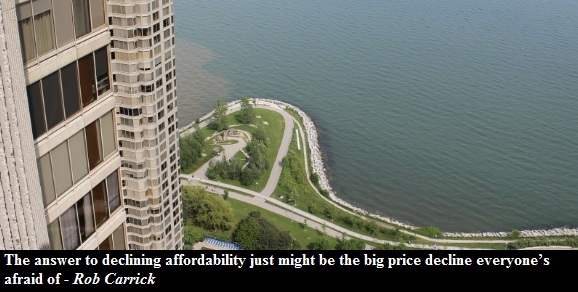 In his recent article, Rob Carrick examined the alarming decline of housing affordability. The picture that Carrick painted is not pretty. Especially for the young. "Young adults just starting out in the work force are having trouble finding jobs with sufficient salary to pay back their student loans and move out of their parents’ home, never mind buy a house in a major city. Smaller communities are more affordable, but they’re not usually where the jobs are." So while real estate agents and flippers might be celebrating the 4% increase in home prices, the twenty somethings are left pondering the kind of world that we live in - the world that systematically pushes more and more debt onto the younger generations.